Not least thanks to the consistent support of high-resolution music files, Bluesound has made a name for itself right from the start as a provider of high-quality multi-room solutions. The new generation is called Gen 2i and offers new functions and technical improvements. As the Gen2i devices – Pulse Flex 2i, Pulse Mini 2i, Pulse 2i, Pulse Soundbar 2i, Node 2i, Powernode 2i, Vault 2i – look very similar to their predecessors at first glance and the concept has not changed in principle, we refer to our video on multiroom systems and in particular to our article on Bluesound Node 2 for a basic introduction and will concentrate on the following only on the changes made. The upgrade focuses on a number of connectivity enhancements that benefit all Gen 2i components, both in terms of functionality and transmitted (sound) quality. For example, 5 GHz wireless LANs are supported, which are less susceptible to interruptions and enable higher data throughput. In addition, the Bluetooth standard 4.2 with aptX HD (resolutions up to 48KHz and 24 bits) is now also on board. It is particularly interesting that bidirectional transmission is now possible via Bluetooth. This means that it is not only possible, as before, to stream music from a smartphone to a Bluesound system, but also to send music data from the smartphone to a Bluetooth headset, for example. In addition, the Gen 2i devices have the latest version of Apple’s proprietary streaming protocol AirPlay 2 integrated, which now also offers multi-room support and thus allows convenient access to the Bluesound hardware directly via iOS or macOS. In addition, thanks to Apple Homekit, joint control of products from different manufacturers is potentially just as possible as operation via Apple’s Siri voice control. In addition, Alexa, the counterpart of the indirect competitor Amazon, was also implemented in the new Bluesound software. In addition to these global innovations for the entire Gen 2i model series, there are also a number of device-specific modifications. The Pulse Mini 2i and Pulse 2i have larger drivers (2x19mm & 1x102mm or 2x25mm & 1x133mm) and more powerful amplifiers (120 Watt or 150 Watt). This adds to the already convincing performance. In addition, there is a small optical change: The fronts of the white Pulse players are now also white in color. Furthermore, the Powernode 2i now has an additional combination input for analog or optical digital audio signals, the Pulse Soundbar 2i receives an HDMI upgrade – making both devices even more flexible. 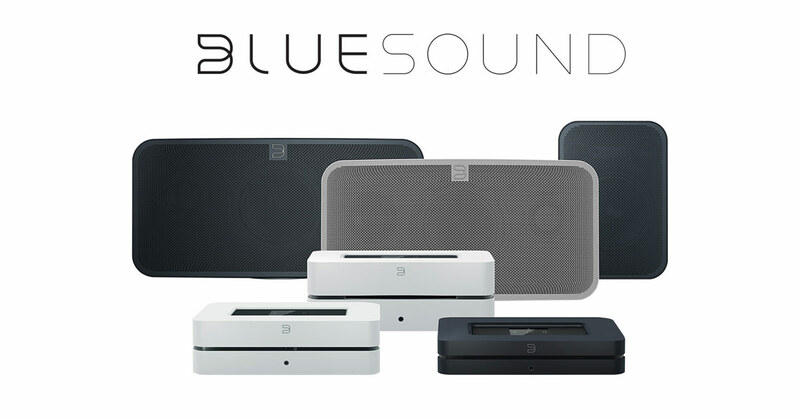 Bluesound is a continuous ecosystem that is designed to improve connectivity and some technical aspects. This makes the Bluesound Multiroom system even better.